As 42-year-old Trent Reznor rages into middle age, he seems primed to assume the role of alt-rock's cool uncle: Instead of awkwardly name-dropping TV on the Radio at holiday gatherings ("that Cookie Monster album is fantastic! "), Trent invited the Brooklyn band on tour with him. And, on this reconfigured follow-up to last year's noisy and apocalyptic conceptual clarion call, Year Zero, Reznor assembles an impressive list of remixers-- from the Knife's Olof Dreijer to Midwestern dancer rockers the Faint to Stephen Morris and Gillian Gilbert of New Order fame. So while the three previous Nine Inch Nails remix records mostly featured Reznor and his studio cronies tweaking their own work, Y34RZ3R0R3M1X3D is less insular and more varied as Trent continues to loosen the reigns on the now label-less NIN machine. It may not sidestep the inevitable inconsistencies that dog almost every redo LP-- as Reznor recently admitted, "Remix records can be disposable garbage (of which I myself have been guilty to some extent)"-- but the man in black's hands-off approach and inspired taste yield some pleasantly surprising doomsday soundtracks. If Year Zero was the sound of zeros and ones being broken down into fits of code signaling the end of civilization, Y34RZ3R0R3M1X3D is the danceable, post-everything rave-up. It's been a long time since Reznor specialized in making music for goths to shake to, but he still realizes that even the most brooding atheists sometimes feel the urge to flex their pale limbs. So Year Zero's digital freakouts and introspective interludes are largely ditched in favor of straightforward low-end and fist-high chanting. The concept album's internet-aided plot is all but lost, of course, but that's not such a bad thing. Post-punk producer and trend-aping remixer Paul Epworth (aka Phones) and NIN fan Pirate Robot Midget give Reznor a fitting French Touch treatment, and Epworth's "Capital G" absolutely nails the power-farting guitar aesthetic across its rousing seven and a half minutes. Ladytron and New Order's Gilbert and Morris dutifully tweak their keyboards, respectively turning "The Beginning of the End" and "God Given" into potential Violator-era Depeche Mode B-sides, but the Faint figure out the limits of Trent's funkiness the hard way with their squelching take on "Meet Your Master". As is the general rule with these endeavors, it's always more interesting when artists attempt a complete revamp (especially since Reznor's formula hasn't changed all that much in the last 15 years). Avant-garde bass legend Bill Laswell and recent Trent bud Saul Williams tank with their lazy and diluted versions of "Vessel" and "Survivalism" (what possessed them to try to out-NIN Trent Reznor?). But on the flip side, the Knife's Olof Dreijer references his spooky source material in mood only on an expansive 14-minute minimal techno take of "Me, I'm Not". Dreijer relegates Reznor's whispering vocals to the periphery; it comes off like a pulsing Ricardo Villalobos remix of the Knife, with subtlety, finger-snaps, and subversive low-end intact. Meanwhile, eternally unsettling chamber innovators the Kronos Quartet manage to convey much of Reznor's Year Zero vision (without a trace of his scraping vocals) with equal parts dissonance and elegance on their rework of "Another Version of the Truth". But Best Remix honors go to ambient guitar genius Christian Fennesz, who successfully bridges the gap between his own static-y compositions and Reznor's more brutal noize palette, smoothing out the post-explosion ballad "In This Twilight". 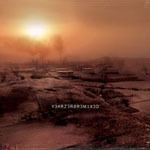 Y34RZ3R0R3M1X3D famously marks the end of Nine Inch Nails' troublesome relationship with Interscope Records and, given the indie and avant-garde nature of its remixers, this makes sense. No matter how one feels about his primitive lyrics or hard-headed pessimism, Reznor clearly has a keen and voracious ear. So even though the disc lacks cohesion and is predictably spotty, its unlikely collaborations with the likes of Dreijer and Kronos make the project somewhat worthwhile. And as he leaves the majors behind (shitting on them all the way) and retreats to his indie-style cult, Reznor should have even more chances to indulge his experimental tendencies. Just as Bowie tapped Trent for some fresh ideas in the mid-90s, the NIN brain trust continues to look elsewhere for motivation. And while Reznor has faithfully clung to his industrial aesthetic for years, his newfound independence might be the catalyst behind a larger sea change for the NIN sound-- perhaps an expanded Fennesz/Reznor meeting of the minds? It's not probable. But now, at least it's possible. Trent Reznor's defection from the music business might be the best thing that ever happened to him financially and ideologically. Aesthetically, Reznor's move is, so far, reminiscent of Prince's a decade ago-- his first new self-released project is a two-hour, 4xCD instrumental work. Trent Reznor shuns radio-friendly alt-rock and settles into his role as a cult star, releasing a complex record about a dystopian near-future. With Teeth single is buffered by remixes from the DFA, Richard X, El-P, Photek, and members of Interpol.